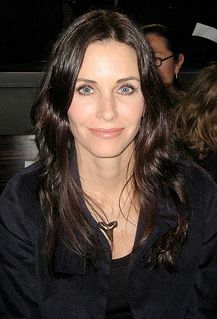 Courteney Bass Cox (born June 15, 1964) is an American actress, producer, and director. She is best known for her roles as Monica Geller on the NBC sitcom Friends, Gale Weathers in the horror series Scream, and Jules Cobb in the ABC/TBS sitcom Cougar Town, for which she earned her first Golden Globe nomination. Cox also starred in the FX series Dirt. She owns a production company, called Coquette Productions, which was created by Cox and her then-husband David Arquette. Cox also worked as a director on her sitcom Cougar Town and the television film Talhotblond. Read more on Wikipedia.